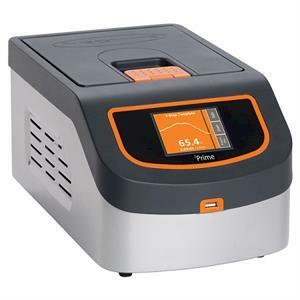 The 3PrimeX delivers all the features of the 3Prime instrument but with an expanded sample capacity, accommodating 48 x 0.2ml microtubes, 30 x 0.5ml tubes plus half a 96 well plate in a horizontal format. Design flexibility allows the unit to be upgraded to included gradient cycling capability. 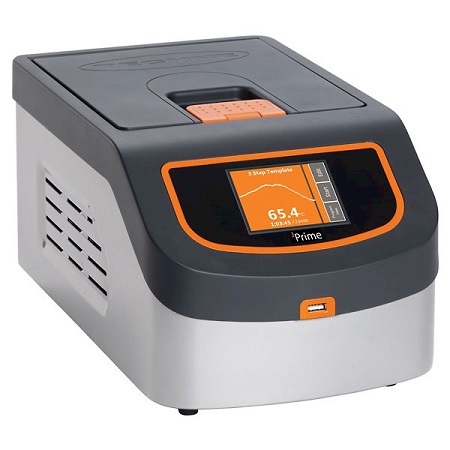 The 3PrimeG is a small gradient thermal cycler that builds on all the features of the 3PrimeX instrument. The 48 well block format offers eight columns for annealing temperature optimisation and six rows for optimising reagents such as MgCl2 and primer concentrations. Annealing temperatures can be optimised over 14°C between temperatures 30°C to 80°C. The gradient calculator function displays the temperature for each of the eight columns, ensuring easy replication of thermal conditions.